We are a professional repossession company specializing is all types of voluntary and involuntary repossessions. This especially includes difficult and hard to locate recoveries - don't suffer at the hands of a hard job again - let us Dynamic Recovery Services do the job for you. With more than 10 years experience, we are prepared to handle all your recovery needs - from collections to skip tracing, repossessions and beyond! We have extensive knowledge in recovering all types of collateral, whether it be office equipment, computers, heavy equipment, automobiles, trucks, tractors, trailers, boats and even airplanes! 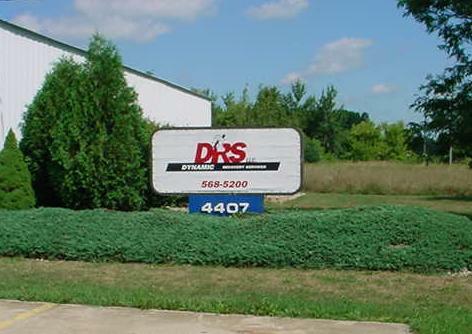 Our company was originally founded as Chicago Auto Recovery LLC, in Chicago, Illinois. In the past years we've changed names a few times - to Dynamic Creditors Service LL and finally to Dynamic Recovery Services LLC, or DRS LLC, but we've never compromised our commitment to superior customer service and quick and efficient repossessions. We're proud to offer a wide range of services to our customers. This includes voluntary and involuntary repossession services such as autos, trucks, motorcycles, RVs, boats, planes, office equipment and furniture, and heavy equipment (semis, trailers, construction and farm equipment, factory equipment, etc.). Bail-outs (pound, towing, and other), door knocks or field-visits, condition and/or pictures, delivery, and storage. As well, we offer transportation - delivery to auction, dealerships, banks or wherever the customer may choose. Furthermore, we do complete service skip-tracing including non-pubs, POE, utilities, social and name searches, and PO Box, phone and plate breaks. We also do stake-outs and investigations.